Trip VI | Beer Blotter: Seattle based. World focused. New Belgium Brewing is holding a few events this evening, in Seattle. If you have nothing going on, there is no reason to miss out on the opportunity to taste some very rare NB offerings. The Colorado brewer has been very active in the area of late. We assume this is in part related to the ongoing collaboration with Seattle’s Elysian Brewing, with whom New Belgium recently released the sixth installment of its Trip series of beers. Check out Jess’ article on the series by following this link. Wow. So glad that I heard about this event. 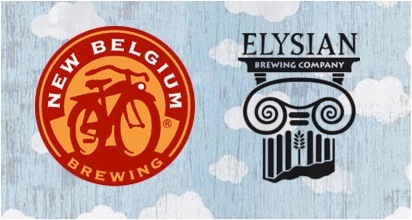 New Belgium’s Brewer’s Night features New Belgium-Elysian Trip VI Fresh Hop IPA, Lips of Faith Sahti, NB-Elysian Trip III Sour brown, Lips of Faith Fall Wild Ale (Dubbel w/ Brett), 1554, & Lips of Faith Matty’s Dunkelweiss. All of these beers are incredible. Most of these beers are a hard find in Washington. I am most intrigued by the Lips of Faith Sahti, the latest addition to this absolutely mouth-watering collective of beers. The Sahti is rumored to feature much of the flavors found in Trip IV, which is one of my favorites. The brewery stated that it will almost mimic Trip IV with “maybe a slight tweak in percentages but same grain bill for sure.” That means juniper, rye, and amarillo magic. Don’t miss it. You probably also want to try the Dunkelweiss and the Trip III, before its gone for good. Oh yeah – the Fresh Hop will be pouring as well. 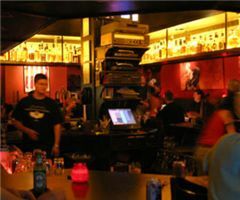 The Whiskey Bar is at 2000 2nd Ave # 101, Seattle, WA. Get there at 7:00 PM, when this event kicks off! Its Harvest Beer Week at the Hopvine! Tonight, Oct. 5th is Cask Night at the bar. They will be rolling out a firkin of New Belgium-Elysian Trip VI Fresh Hop IPA. This is the last remaining cask of this amazing beer! You will not want to miss a chance at tasting this off the cask. Hopvine is at 15th Ave E., Capitol Hill, Seattle, WA. The event kicks off at 6:00 PM. Trip VI is ready to roll! Fresh Hop IPA - delicious! Over the past couple of years, Elysian Brewing Co. of Seattle, WA and New Belgium Brewing Co. of Fort Collins, CO have been teaming up and delivering stellar beers to the public. Since 2008, these two breweries have brought you Trip I, II, III, IV, V and VI. While increasing efficiency and encouraging creative experimentation, we will make a bold collaborative step into the future of American craft brewing. This is an artisanal collaboration. Both of our brewing teams will use each other’s brewhouses while remaining independent enterprises. We’ll be brewing small-batch creative and experimental beers in Seattle like the Lips of Faith series while getting closer to our customers in the fertile Pacific Northwest brewing scene. Elysian in turn will brew larger batches in Fort Collins and be able to handle growing distribution needs as their beers become available in new U.S. markets, like New York, which opened July 1st of this year. I bring to you, a brief description of each “collabeerative Trip” beer. Their own version of a Trippel IPA. Of course, this is a Belgian twist on a northwest version of India Pale Ale. We have seen this from people like Flying Dog, Troubadour and La Chouffe, but this is the first northwest version, with significant fruity hops. A deep, golden ale generously hopped with Magnum and the seldom-used Citra hop, which produces flavors of grapefruit, peach and passion fruit. Spiced with lemongrass and grains of paradise, Trip 2 is fermented with a Belgian yeast strain for a hop-forward ale and swirling fruit undertones. This gem of a beer was/is brewed at Elysian Capitol Hill. A sour brown with just the right amount of sourness, savoryness and sweetness. Elysian and NB blended a dark brew full of specialty malts with a wood-aged pale beer to provide a pleasantly-puckering sourness. Personally, I think this is such a well executed beer and always a must have when its on tap! A juniper rye, an interesting beer with a ton of flavor! A traditional Rye Ale brewed with juniper, bittered with Cascade hops, finished with Cascade and Amarillo. Juniper boughs are added to the mash and juniper berries, orange and lemon peel are pitched in the whirlpool which presents a complex, refreshing taste profile. This is a cherry brown ale with cocoa, vanilla and bold cherry flavors. Lucious and bold, this beer has an incredibly natural flavor. And now for your latest…. Notes straight from the bb.com team…A fresh hop IPA. A sweet IPA with grapefruit flavors and a smooth finish. A well-balanced IPA as there is an initial citrus sting, a sharp bitterness that enlightens your taste buds followed by a rolling honey sweetness. At the release event, we were able to try Trip III, IV, V and VI side by side- what a treat. All of these beers are worth a try, a pint, a growler! The fresh hop came at the right time, during the right season and I look forward to more of it. What is your favorite Trip? Let us know below in the comments.